Recently I've been seeing the dispute of who the protagonist of Season Three should be. I'm rather surprised how polarized it was actually. I thought most people loved playing as Clementine. But it would seem a fair share of users don't want her to return as the protagonist. This actually puts Telltale in a difficult situation too. Because not matter what, they can't satisfy a large number of the community because at the end of the day... that's almost impossible. I'm with the camp that thinks Clem should stay. And why? Because of her potential. She's only eleven years old and look how far she's come already. I want to see her develop throughout the series. Heck Season Two itself has felt somewhat like the origin of her true potential in a sense. Because at the end of the day, I think that the Telltale The Walking Dead series IS Clementine's story. Despite her not being the protagonist of the first season. Anyway, here's what I THINK will happen. Nearly all the characters from Season Two will die EXCEPT Clementine and Rebecca's baby. She'll get to safety for a short while. Flash forward a few years and the third season can have a symbolic resemblance to the first Season wherein the main protagonist is trying to protect a child. Only this time around it's Clem trying to protect Rebecca's. I think this could work really well if Telltale manage to pull it off right, I know I left a good few blanks here and there, but I think you guys can get the idea on how I would want the third season to go. And in regards to a brand new protagonist... I'm sorry, but I don't think it would work. You always feel more personally bonded with the characters from the original Macon group. Not trying to say that the new characters are not relatable (far from it, I loved Nick and Mike) but I just don't see the purpose of focusing on a new character and calling it "The Walking Dead Season Three". The story is more personal to you, the player when you see the one character who's been around since day 1. Remember when Clem told Luke about Lee? That felt personal, because it was actually delving into your personal history. When Jane was telling her story you could see where she's coming from but you don't know what it was like for her. You're more emotionally upset remembering things of the past. AKA: The story being more personal. And I think that if we were to transition to a new character this late in the timeline it simply wouldn't work. You would have to restart the series timeline and establish a new main character if that was the case. And I still don't think that would work too well since it wouldn't really feel like a number "3". You would might as well start the series over if that's the case. tl;dr: Clem can still work as the protagonist IF Telltale change her up a bit. Heck I loved playing as her in Season Two and I want to see where her character goes from here. And I want to be part of her journey every step of the way. I love playing as Clementine, but I don't want to play as her in the next seasons. I want to interact with her in hubs, do puzzles with her, stuff like that. I want to play as Clementine in season 3 but im not completely against the idea of a new protagonist. The only thing I'm worried about is if she'd act out of character of the Clem you've been in season 2. I agree with you. I can't see her as someone else than protagonist because everyone played in diffrent ways. Some players loved sassy Clem, others more like her from season 1, others muted etc. I mean it'd be hard for Telltale to create this character for season 3 if she won't be a protagonist. For those who are saying that we could start with new character and new group - yes it's pretty stupid. What's the point of season 1 and 2 if we'll play in season 3 as new person? It'd be like abandoning Rick's group from comics and TV Show. I simply don't see this happening. In any case Telltale won't tell us who will be main character right now because it'd spoil the end of season 2. 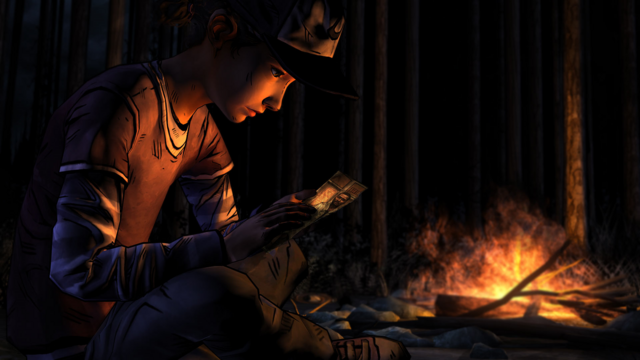 I think that it'll be Clementine but Telltale can't say that because everyone would be like "Oh great! She'll survive!" and not like "Oh my... 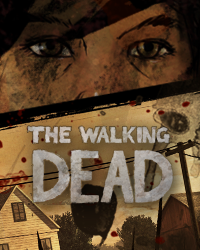 I wonder what will happened to Clementine and the others...". I loved season 2 and would buy season 3 if Clem is protagonist but i would much rather have a new protagonist to get to learn and care about I myself personally feel Clems story has run its course.Now its just my opinion I realize alot of people don't feel this way but i personally want a new protagonist. I'm 100% with you! There is still so much potential in Clem. So many lines she haven't had to cross yet. If Clem survives Ep5, she has to stay the PC. I can't see her as a deuteragonist. Because to me, Clem is the Walking Dead Game. Playing as someone else wouldn't work. We know her too well. If we were to play as someone completely new, then that character wouldn't know Clem, and we couldn't interact with her in a way we'd want to, because we know her so well! The only other option is to play as a Character we already know. And there are not that many left. The only one I can see as possible PC would be Luke. Kenny is way to developted to become the PC. And all other characters haven't been with Clem the hole time and wouldn't actually know what she's been through. I don't know... the way it is know, I can only see Clem as PC for Season 3. I'm actually hoping for some kind of cliffhanger at the end of Ep5. I don't want another year-long stimeskip, if we keep playing as her. Well... there is a lot of directions that Telltale can choose for Clementine. For example we could end up in Wellington and Clementine could live there for like, I don't know, few months? Maybe even year? That would be time skip for season 3. During this time she wouldn't need her survival skills because she could live in the big community but after this time something might happened that will require from Clem to try and survive again in some way. But... I guess we will see. Not everyone liked the idea of Clementine as protagonist in season 2 before it was released so I think Telltale will do whatever will be needed for their story. If they'll want to keep Clem as protagonist they'll do it. If they'll create new character that's fine but for me it wouldn't be the same. As I've said on other threads in season 3 I would be fine with Clem as the protagonist, but I would like to see Clem as the side character for a season,whose attitude will depend on our choices in seasons 1 and 2, so we can have a nicer, friendlier Clem or a Cold Survivalist Clem, Opinions? I dunno if that would work though. I play Clem as a friendly person and she cares about the people in her group but occasionally she'll do bad things like watch Carver die and take Arvo's supplies. I think she's more of a complicated character than just friendly Clem or Cold Clem. 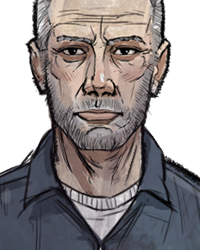 As I've said on other threads in season 3 I would be fine with Clem as the protagonist, but I would like to see Clem as the side … morecharacter for a season,whose attitude will depend on our choices in seasons 1 and 2, so we can have a nicer, friendlier Clem or a Cold Survivalist Clem, Opinions? I say that quite often too, that she practically is Telltale's The Walking Dead. And without her as the lead, I would be somewhat put off it too. Especially with how much we went through with her at this point. And like I said before, the journey has felt more personal thus far with what she's went through. Though I'm not completely against a timeskip, it depends on how long it as and on how Season Two ends though. In my experience, that does the opposite of stopping them. I guess it depends on where the story is at at the end of Ep5. But right now a big timeskip would just feel wrong. I say that quite often too, that she practically is Telltale's The Walking Dead. And without her as the lead, I would be somewhat … moreput off it too. Especially with how much we went through with her at this point. And like I said before, the journey has felt more personal thus far with what she's went through. Though I'm not completely against a timeskip, it depends on how long it as and on how Season Two ends though. I dunno if that would work though. I play Clem as a friendly person and she cares about the people in her group but occasionally s… morehe'll do bad things like watch Carver die and take Arvo's supplies. I think she's more of a complicated character than just friendly Clem or Cold Clem. I don't think that's goning to happen. Each writer for Season 3 would just go crazy I mean just think about the scale...! It's not impossible, you know? But it'd be hard even for Telltale. Create Clementine diffrently based on entire dialogue options from season 2. Not to mention that some of us plays as mixed version of Clementine - sometimes sassy, sometimes nice and caring. It... well, it's nice idea but like I said it could be a little weird in my opinion. It's not impossible, you know? But it'd be hard even for Telltale. Create Clementine diffrently based on entire dialogue options f… morerom season 2. Not to mention that some of us plays as mixed version of Clementine - sometimes sassy, sometimes nice and caring. It... well, it's nice idea but like I said it could be a little weird in my opinion. We still don't know what they meant with Kenny and Luke. Nothing is certain until episode 5 will be released. Right. 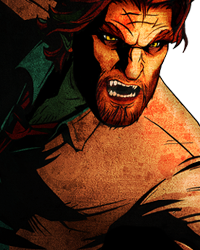 We need to consider that season 3 won't arrive until 2015-2016 so Telltale have plenty of time. They said that it won't be THIS year (2014) so I think 2015 earliest. 2016-2017 latest. I don't think it'll be a 2017 wait. I think it will most likely be 2016. I hope this time though Telltale decide to do only one ongoing project at a time. They're biting way more than they can chew here. 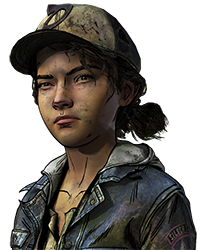 i don't know why some people want a new protagonist for the 3rd season.I' m loving it to play as Clem and I know there is a lot of potetial for her story. I don't want a game like the thousand other games which are on the market and Clementines story is something new and very special. Maybe if they don't want Clem as the protagonist, we could be a new group member of sorts that joins her group two years after the end of Season 2 [alligned with the comic timeline], and we get to see how our choices have affected her personality,whether she will be difficult to deal with, distrusting, etc. 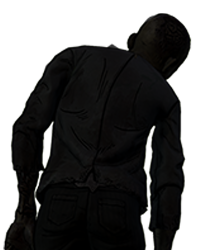 If you left Sarah behind, she'd leave you behind if you got hurt, if you saved Sarah, Clem would try to save you if you got in trouble. If she chose Kenny at EP5 , she'd be a bit hot-headed and distrustful,if you chose Luke, she'd be a bit calmer and more trusting, maybe to a fault. Stuff like that, you know? It would be cool, to me. Now let's find those BOATS!!! Agree but your title implies that Clem as a protagonist in Season 2 didn't work at all. It sounds like you want Season 3 to be similar to the book, "The Road" where a father protects his son while surviving in the apocalypse. Only this time, it's Clementine looking out for Rebecca's child and teaching him things. That would definitely make a good story! I really like this idea, I even put out my own idea which was similar to this one in a thread about Season 3 protagonists. Before you read, I know this is a BIG time skip for The Walking Dead, and even though the comics are in this same universe, I feel like they could do it, after all I'm assuming Alexandria, The Hilltop, and The Kingdom are far enough away from Wellington (assuming it's a safe place, and that it's where they stay) that the two won't meet (I really don't think Rick will be able to recreate society as it was before the ZA, it will definitely take many more generations). Again, this is assuming at least Clem and the baby make it to Wellington, and assuming Wellington is still safe. I personally think it would be more interesting and not as similar as the first season if Rebecca's son is a teenager, maybe 14 or 15 years old, this way, Clem, and by extension us, will still want to protect him (after all, Clem will have taken care of him for about 15 years), however, he won't be as young and innocent as Clementine from Season 1, he will be rebellious and have much more differing opinions, we will be in the mindset, as Clementine will be, that we need to protect him like Lee protected Clem, but he will feel like we are treating him like a baby, and our dialogue choices and/or actions can lead to branching relationships with this kid as the season goes on. I also like the idea of No Going Back's final choice being the name of the baby, and if that happens, then imagine Rebecca's son possibly having one of more than four different names every time you see someone playing Season 3. I disagree completely. The story relies too much on the decisions of a little girl, which takes me out of the immersion. It's just too fictional (yes, even in a videogame, even in a zombie setting). Telltale doesn't have much choice though, at this point they have to make her a superhero that's also an expert strategist, or else the game would end up pretty boring relying on adults the whole time. Also, I disagree with you saying that the player can't form a stronger bond with new characters. I felt more of a bond with some of the season 1 characters than I do with Kenny, even though they had much less screen time. Also an example is Lee, who I felt the strongest about through the entirety of both seasons so far, who was an original character. I think this video speaks for who I want to be the next protaginst. I'm not a fan of the dlc. I played it just one time in my main playthrough. It was boring in my opinion. Well... there is a lot of directions that Telltale can choose for Clementine. For example we could end up in Wellington and Clemen… moretine could live there for like, I don't know, few months? Maybe even year? That would be time skip for season 3. During this time she wouldn't need her survival skills because she could live in the big community but after this time something might happened that will require from Clem to try and survive again in some way. But... I guess we will see. Not everyone liked the idea of Clementine as protagonist in season 2 before it was released so I think Telltale will do whatever will be needed for their story. If they'll want to keep Clem as protagonist they'll do it. If they'll create new character that's fine but for me it wouldn't be the same. Maybe if they don't want Clem as the protagonist, we could be a new group member of sorts that joins her group two years after the… more end of Season 2 [alligned with the comic timeline], and we get to see how our choices have affected her personality,whether she will be difficult to deal with, distrusting, etc. If you left Sarah behind, she'd leave you behind if you got hurt, if you saved Sarah, Clem would try to save you if you got in trouble. If she chose Kenny at EP5 , she'd be a bit hot-headed and distrustful,if you chose Luke, she'd be a bit calmer and more trusting, maybe to a fault. Stuff like that, you know? It would be cool, to me.